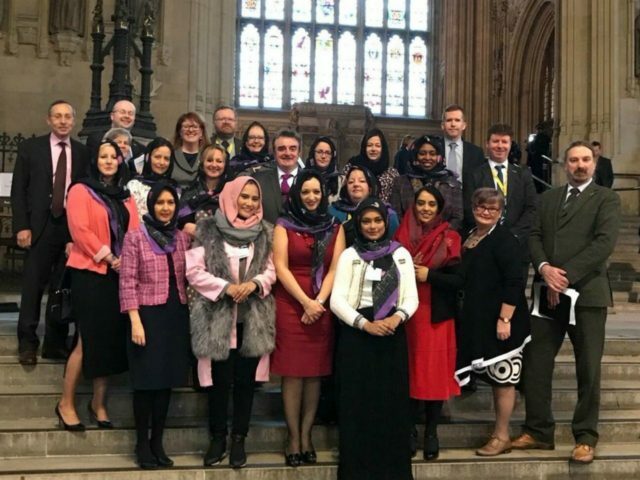 A number of MPs donned hijabs in Westminster Hall to celebrate World Hijab Day (WHD), which normalises Islamic veiling and promotes “modest” dress. The group, led by the SNP’s Tasmina Ahmed-Sheikh, included SNP MPs Anne McLaughlin and Patrick Grady, as well as Labour’s former shadow equalities minister Dawn Butler and MP Naseem Shah. “Projects such as ‘Word Hijab Day’ help us spread these values and showcase our religion in a positive light,” he adds. Neither the hijab or Islamic face veil, such as the burka, are mentioned in the Quran, and many liberal and progressive Muslims argue that the garments are sexist and even Islamist tools used to control women. In countries such as Iran and Saudi Arabia, women are required by law to cover their heads and face punishment if they show their hair. The organiser of WHD says they aim “to create a more peaceful world where global citizens respect each other”. The also claim that “with the recent rise in Islamophobia, such as the hijab and other religious clothing being banned in countries like France, Muslim women who wear hijab are disproportionately targeted by hate crimes”. World Hijab Day at the House of Commons Parliament in Westminster, London. During Prime Minister’s Questions on Wednesday, Ms. Ahmed-Sheikh used a question to call for the acceptance of Islamic veiling in British society and for the continued admittance of migrants and asylum seekers. “Today is ‘World Hijab Day’ and I wonder if the Prime Minister would join with me in recognising the right of Muslim women to wear hijab if they wish without fear…” she said.